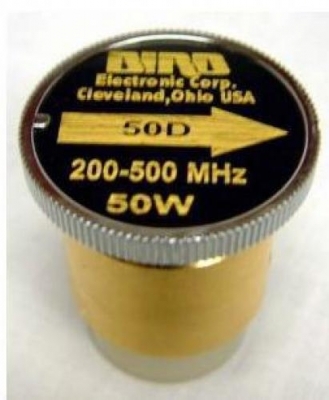 This is a new Bird 50D plug-in element for the Bird 43 wattmeter. It measures 0 to 50 watts full scale for frequencies from 200 to 500 MHz. This frequency range covers the 220 MHz ham, military aviation and UHF commercial bands.